I've spoken before about how Jeff Lemire is one of the few modern writers who seems to follow the classic rule that every comic should be written as if it were someone's first exposure to the characters. It is for that reason - and perhaps because of the delay between issues caused by the Future's End specials - that this issue opens with a recap of just how the new Justice League came together and why Martian Manhunter has now taken on guardianship of a genetically engineered being born of multiple alien species known as Ultra. This story - as well as the majority of the team going to investigate the sudden activation of the distress beacon of a recently deceased Hawkman - take a backseat to the main focus of the issue, which develops two heroines who haven't been seen in the book much so far and indeed haven't really defined themselves as heroines yet. One is Alanna Strange, who despite having a space-suit, a brave heart and a ray gun, still isn't quite sure what to make of the destiny that has been thrust upon her and her husband, Adam. The other is Miyahbin - a young woman who is about to discover her own special powers and her family's legacy as protectors and guardians. 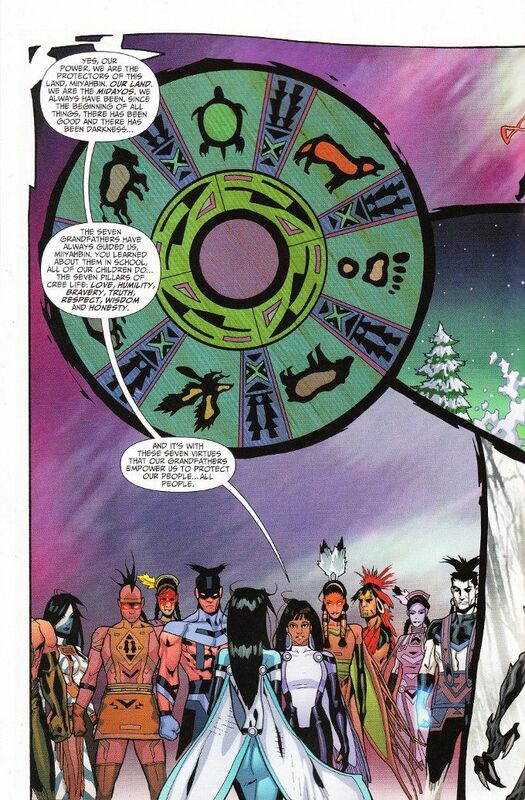 The artwork of Timothy Green II and Joe Silver proves the equal of Jeff Lemire's amazing script. Green is a grand visual storyteller and he has a gift for drawing interesting inhuman figures, such as J'onn J'onzz or the monstrous Whitago. Joe Silver is a soft touch with the ink pen, but that suits this bright, largely hopeful story just fine. All in all, if you haven't been reading Justice League United, this is a good issue to start with.